This Cruze have chosen two of our best mothers, Northern Light and Big Bud.We crossed both with genetic rudelaris and then crossed for four generations separately selecting the best individuals who possessed self gene, until the car perfect individual. This plant is suitable for growing size exterior and interior, reaching in some cases outside, 1,70cm; and indoor p ou can reach 1,30cm , everything depends on the size of the container in which it is. The plant has a perfect, very symmetrical canopy, where all the branches grow to the same height; usually not excessively wide tubular plants. 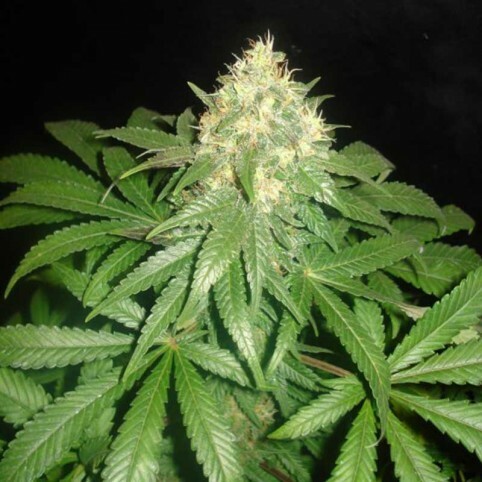 Northern Light x Big Bud produces large, dense buds covered with a sea of glass resin from which emanates a very strong smell of sweet citrus fruits such as tangerine and pineapple. The plant, at the end of flowering, usually ends with a very colorful buds purple . Given that flowering does not depend on photoperiod, can be grown in any season in outside although yields are better have the better environmental conditions. A good way outside, once you start to sow good time to do it again a few days before harvesting the first, we can do two or three good crops a year . Some growers make more crops, but having worst environmental conditions normally, these crops tend to be less productive. Growing internal recommend 20h light and 4 of darkness in the cycle.